The other day I had gone to the Department of Orthopedics at the Post Graduate Institute of Medical Sciences. As I waited for my turn on this cold winter morning, I was privy to a lady telling the doctor about her health issues. She took out a smart leather folder from a designer tote’ bag. She opened it to reveal all her diagnostic reports, X-rays, medical prescriptions filed neatly and clipped chronologically. As a silent onlooker, I was impressed with her impeccable presentation. Inadvertently my eyes dwelled on her hands. As I moved out of the clinic, I caught sight of the lady with the scarlet red nail paint, waiting for her chauffeur to bring her car. She held a cell phone that had probably been launched in the market only a fortnight ago. The cover on it was classy to say the least. Yes, I thought … it’s all about adding life to your years as you add years to your life! I drove off, resolving to add some fuel to my zest for life. After all, age is just a number, right? And don’t we all want to be high scorers? And yes! 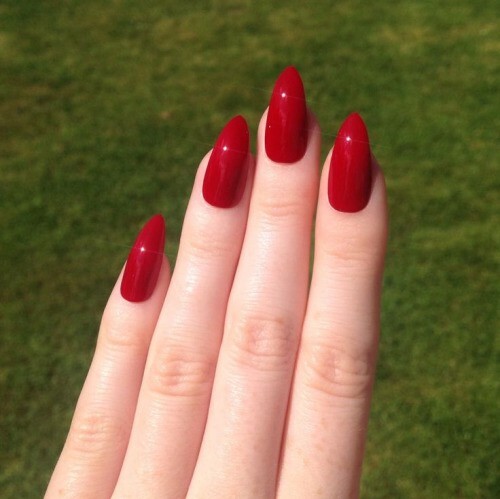 I have to buy red nail paint today!